A USA Based Yeshiva For 21-Year-Olds – If They Build It, Will The Bochurim Come? During this past Pesach Bein Hazmanim, an online survey was conducted that posed the following question: Would bochurim who are currently in Bais Medrash be interested in attending a Bais Medrash in the USA specifically geared to 21-year-olds? If so, what features might such a Bais Medrash offer in order for them to consider attending? More than 400 people – either bochurim currently in Bais Medrash or parents of Bais Medrash bochurim — responded to this survey, sharing comments, personal thoughts, and insights. All told, the respondents represented attendees of more than 30 different Batei Medrash in the U.S. Canada, and Eretz Yisrael. A full 77% of the respondents characterized themselves as Litvish/Yeshivish. Each person who responded did a tremendous service: all of the candid and spirited responses opened a window into a little-known area of Bais Medrash life: the changing needs and interests of our current bochurim. Shidduchim and marriage is another factor that ranked high among those who were interested in a Bais Medrash for 21-year-olds. Their opinions went along the lines of this respondent: “I believe [a bochur] should get married and go to Eretz Yisrael with his wife to learn.” Another respondent cheered: “Great idea, and will (hopefully) produce healthier, more stable boys ready for shidduchim earlier (to help all our wonderful girls get married).” These opinions are ostensibly in response to the Kol Koreh of the Roshei Yeshiva that has been published in frum media outlets, advising young men who are ready for marriage, to begin shidduchim at age 21. What features of a Beis Medrash are these who answered the survey interested in? Interestingly, there were a few clear standouts, pointing to what our current bochurim wish for most in a Yeshiva environment. The feature that was requested most often was “A Rosh Yeshiva who interacts well with bochurim,” which was chosen by 145 respondents! Coming in at a distant second place, was the request for a Shiur in Kodoshim, and in third place was a request in Sugyos L’halacha. Further down the list, in order of preference, respondents said they would appreciate Shidduch coaching, supervised diras, Chaburos said by bochurim, and guest Shmuessen. Many said all of these seven features were important. There were other requests as well. What about the respondents who said they would not consider a Bais Medrash for 21-year-olds in the U.S.A.? Approximately 40% of the respondents said they would not consider staying in the USA at age 21 in any Bais Medrash, even if it had features that they deemed important. In general, members of this group support learning in Eretz Yisrael as their first and, often, only choice, because of the level of learning there, or because of Kedushas Eretz Yisrael. In their answers to the survey, some passionately explained their preference, describing “an experience that should not be missed”, and extolling the “rich flavor of Yiddishkeit and holiness” in Eretz Yisrael. Others seemed quite agitated that a survey like this should even be up for discussion, stating, “Our grandparents dreamt all their lives to spend their days in the holy land; don’t try and put people off from going.” Such respondents might be worried that, as a result of the existence of a new Bais Medrash option in the USA, 21-year-old bochurim in the future might have to justify going to Eretz Yisrael to learn. The survey touched on very real emotions. Judging by the high levels of enthusiasm for, or possible interest in a new Bais Medrash on one hand, and the impassioned arguments against it on the other, it is clear that this survey touched an emotional chord in many of the respondents. Hundreds of people gave of their valuable time to share their opinions, and each of them represented a perspective of our multifaceted klal. They survey gave a voice to those who are happy with the status quo, love learning in Eretz Yisrael, and see no need for change. But, more importantly, it gave a voice to a less-heard, but statistically larger demographic: those bochurim and parents who believe that a new Bais Medrash in the U.S. could potentially be a better environment for growth and learning, given the right circumstances. Who Would Support a New Bais Medrash for 21-Year-Olds? Several Roshei Yeshiva catering to 18-to-20-year-old bochurim are very much in favor of a Yeshiva for 21-year-olds in the U.S.A., and have said that they would advise some of their own bochurim to stay in a U.S. Bais Medrash for 4th year and beyond, if it had certain key features. 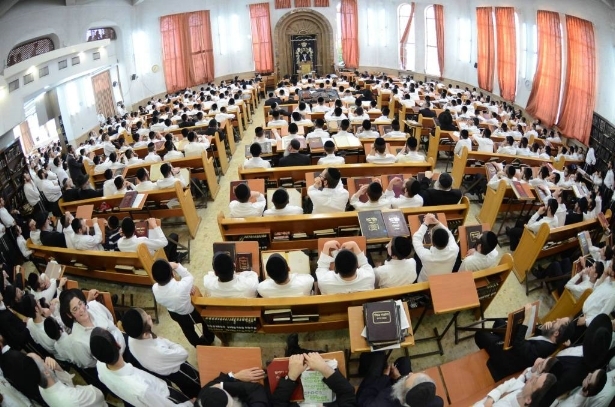 Of paramount concern to the Roshei Yeshiva is that such a yeshiva be specifically geared to 21-year-olds, and not just a large Yeshiva where the 21–year-olds might get lost in the crowd. This survey has determined that many bochurim and their parents also have interest in such a program. Even more significantly, the bochurim and their parents have shared which features they consider vital for such a program. In Summary. With this remarkable consensus from Roshei Yeshiva, Bochurim, and their parents about the importance of a Bais Medrash for 21-year-olds, it seems like the time is ripe for such an endeavor. To join in the survey and offer your insight, please click here. Previous articleWatch: How Would Donald Trump Deal with the Racial Divide in America? FYI, there are yeshivos in America for 21 year old buchrim. some bidavka did not sign. This is a new low. Since when do we take surveys to determine which direction to go in Yiddishkeit? There is an obvious biased agenda over here. This stupid survey won’t change anything. Do you really think the Roshey Yeshiva are waiting with baited breath to see what some 18 year old shnooks are thinking? If you want to get older boys and have them stay!, you have first bring older yungerleit. we must follow what daas Torah says not what some survey says. 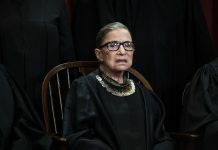 Someone is looking to gain something from this article? Is it the Yated’ Shidduchich Roundtable? Is it NASI? Is it certain “activists”? “Litvish/Yeshivish” these two words are not interchangeable! Thoughtlessly imposing the agenda of some on the klal with no measurable proof of any success. Let’s try some honest chinuch towards marriage for both our boys AND our girls! When boys are prevented from dating they call it being in the “freezer”. Will they call this place the “cooker”. torah vodaas has space , mir flatbush, chaim berlin, chofetz cham, darchei, not to mention fallsburg, and all the turnpike yeshivas….each boro has ??? Yeshivos are built around solid rosh hayeshiva and solid bochrum. A serious learner wants someone to look up to, people he can aspire to be like and who he can talk to in learning. A yeshiva for bochrum 21 years old sounds like a place to warm a seat until he gets married. And what does he do when he turns 22? Or are we starting another yeshiva for 22 year olds? This is all propaganda. And we’d like to know who’s behind it. All this, so the the picky girls should have even more oportunitys to reject even more boys?? Sounds like a great idea to me ! Go for it ~! Stop the chanifa of [removed by moderator] With this garbage. Stop brown nosing [removed by moderator] and his [removed by moderator] obsession. Who conducted the survey? NASI ? Will the Mir Yerushalem pleas step up to the plate and open such a yeshiva. there are already plenty of yeshivos. you don’t need to call in any one. open your eyes and look around. I noticed no survey was done for girls parents regarding eliminating seminary which costs far more then boys going to Israel! 28 K on average. amazing what they try to sell us! the “kol Koreh” referenced here was one that was written in very vague terms and had a really vague message. It also lacked any real bit to it. It did not mention any pro active measures that people are prepared to take to show that we really mean what is said there. Telshe Cleveland is a wonderful place for a 21 year old. The ruchniyus and gashmiuus are fantastic. A serious place for bnei aliyah. There are plenty of Tristaters there, and there is no shidduch problem. The Rosh HaYeshiva , Mashgichim and Rebbeim will know your son- he will not be a number on a chart. It is serene and serious learning . Hatzlacha. Why on earth does anyone believe that this ridiculous survey ever actually took place. “Yeshivas Chaim Berlin, for example, mostly enrolls bochurim that have attended their yeshiva since elementary school. The same can be said for the Batei Medrash of Yeshivas Chofetz Chaim and Ner Yisrael.” Ner Yisrael doesn’t have an elementary school. As a bachur that just learnt in israel last year and got married this year I’m totally for learning in israel in the right yeshiva I believe the yeshiva is the most important of its a good yeshiva and a good chevra it’s the best experience in the world! I grew so much!! Did you vomit much? Lets not erase that going to Israel for Yeshiva is all about letting kids run around with freedom they won’t have with parents hovering over. Best experience? Why could the same experience not happen in america? No excuse or reason will ever justify it. Your brainwashing hasnt worn off yet give it time. 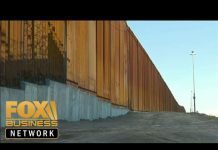 If boys really want to stay in USA and not go to Israel at all then whos stopping them? Let them eitehr stay where they already are , or let some place open up that caters to 21 year old’s? The survey makes it sound like currently a gun is being held to their heads forcing them to go to Israel when 60% dont even want to. The mention of the “kol koreh” kind of gives it away that there is an underlying agenda here. I WILL SAY IT AGAIN THERE ARE ALREADY YESHIVOS IN AMERICA 21 YEAROLD BUCHRIM CAN GO TO. THE STORY IS PUSHING A FALSE STORY.